Fnord Releases an Update to ProEXR That Adds Cryptomatte Support and Bypasses Ae’s Crippling EXR Hurdles. After Effects users have been here before: The promise of better EXR support within Ae. It almost feels like every new Creative Cloud release has high hopes for finally making EXR workflows possible, and every version it gets better, but we are all inevitably let down. This time could be different. 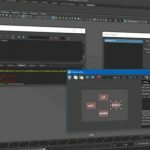 Fnord Software recently posted an update to ProEXR (Ae’s functionality for working with industry standard EXR files within Adobe’s jack of all trades app Ae) with two huge new features. 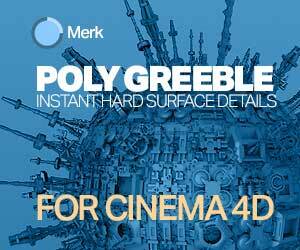 One feature is that OpenEXR finally supports Cryptomatte in After Effects, nearly two years after other composite apps. “Cryptomatte is a clever improvement over OpenEXR’s ID channels, which have been supported by ProEXR since the beginning, but in practice are rarely used.” Brendan Bolles, of fnord software, says. “The problem with an ID channel is that each pixel can only specify a single ID, so small things like antialiasing, motion blur, and depth of field won’t work properly.” OpenEXR 2 employs some tricks so that Cryptomatte will provide you the ID channels you wanted, with all the functionality that you would expect. 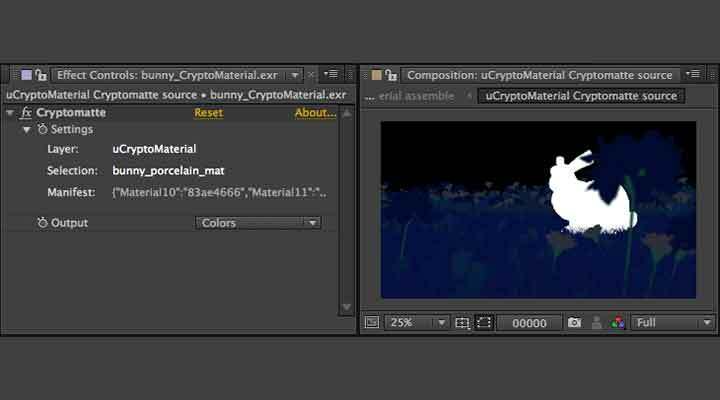 All you have to do is turn on Cryptomatte in a supported 3D renderer, then set up the compositions in Ae using ProEXR 2, select the Cryptomatte effect, and click in your comp to generate perfect mattes for any object(s) you choose. The other addition to ProEXR 2 is a workaround for After Effects longtime debilitating bug, making working with EXR files nearly impossible. If you want to learn more about that, Chris Zwar covers it extensively in his latest article for PVC. “…as the project progressed, those still frames turned into sequences and suddenly After Effects ground to a halt. 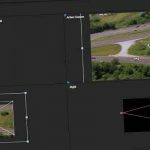 In some cases, I was waiting 2 ½ minutes for After Effects to display a single frame, and even the most basic comp – importing a single EXR sequence and pre-rendering a single matte – was averaging about 1 minute per frame.” Zwar says of working with EXR files in Ae. The bug was not fixed in After Effects. Instead, it comes as a patch with a workaround in Fnord’s ProEXR 2. “In extreme cases involving EXR sequences with many channels, the speedup can be as high as 20x. I encourage all multi-channel EXR enthusiasts to replace the plug-in that ships with AE.” Fnord’s Brendan Bolles says. Fnord EXR plugs have been bundled with every After Effects install since CS4, so Brendan Bolles has been single handedly responsible for EXR IO in After Effects. Adobe includes some of the fnord plugins with After Effects, but it’s important to note that EXR plugs are not developed Adobe. You can get the updates at the Fnord Software site, which includes some additional plugins that you won’t find in the bundle that comes with AE. ProEXR 2 is free to download and update. 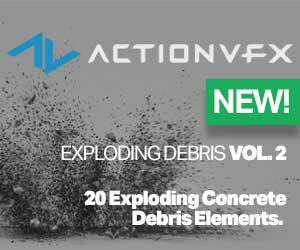 Learn more about the changes in the update, and get a copy for After Effects here.